A few southwest suburban communities, including Summit, are exploring an extension to the popular Illinois and Michigan (I&M) Canal Trail for biking and walking.Earlier this month, Active Trans joined Summit Mayor Sergio Rodriguez, local advocates and trail development experts for a tour of a potential site for the trail along the Sanitary and Ship Canal in the Village of Summit (The Sanitary and Ship Canal is a 28-mile-long canal system that connects the Chicago River to the Des Plaines River). Active Trans has been working on the I&M Trail for the past few months as part of our larger Trail Connect Chicagoland campaign, which is our effort to build both community and government support across the region for closing gaps in the regional trail network. The site is a former boat launch located just north of IL-171 and the on-ramp to the Stevenson. Since going dormant and falling into disrepair, the Village of Summit, guided by Mayor Rodriguez, have been looking for ways to redevelop the boat launch and the land immediately around the launch site. After touring the site, the group discussed how the site could be repurposed into a vibrant community asset with a new trail connection, improved park space and a reopened boat launch. The meeting comes as Mayor Rodriguez, Mayor Krzysztof Wasowicz of Justice and Mayor Dave Brady of Bedford Park, along with Active Trans and other regional agencies, are studying the feasibility of extending the I&M Trail from Willow Springs (where the current terminus lies) north to the Portage Historical Site, which is located in Forest View. The newly established steering committee will meet again later this summer to discuss trail options. 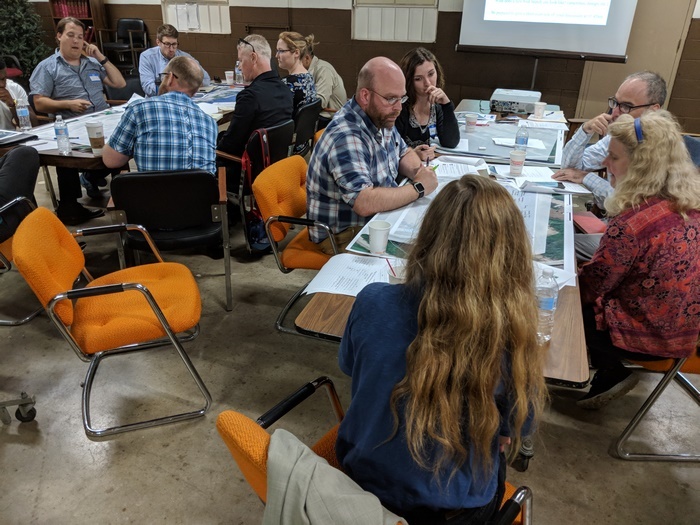 Given the momentum of the I&M Trail extension, from Willow Springs through the Summit boat launch redevelopment to the Portage Historical Site, Active Trans will soon be convening a group of community-led advocates from around the area to discuss the project further and find ways to make the I&M Trail extension a reality. To learning more about the I&M Trail extension proposal, please contact Matt Gomez at matt@activetrans.org or (312) 216-0474.